Guest post 2017-11-10 Country, Events. 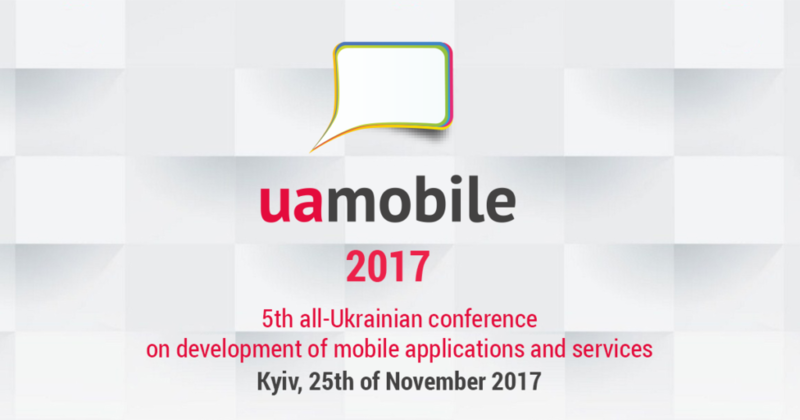 November 25, 2017, in Kyiv, will be the Fifth All Ukrainian Conference of applications developers for mobile devices and services - UA Mobile 2017. Speakers of the Conference - Specialists from leading European and Ukrainian companies, as well as Google experts, ready to share their valuable experience.